My Latest Book Club Feature! Aleigha Butler was born in Gaffney, SC. She's lived in Georgia for over half of her life. 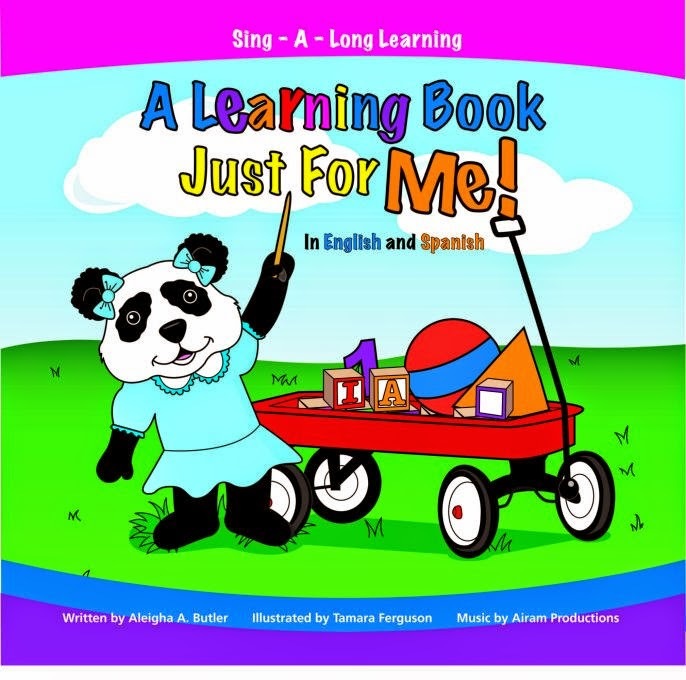 She is the author of bilingual children's book, "A Learning Book Just For Me," "On Fire to Inspire." and "Prayers, Affirmations, and Declarations." 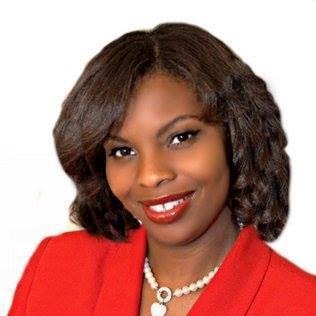 She is a mother, author, internet radio host, budget consultant, philanthropist, and licensed insurance agent. Although Aleigha wears many hats, her passion is to inspire, uplift, empower, and push people into their purpose. "It's time to stop existing and start living! Live in purpose and live on purpose pursuing your passion." 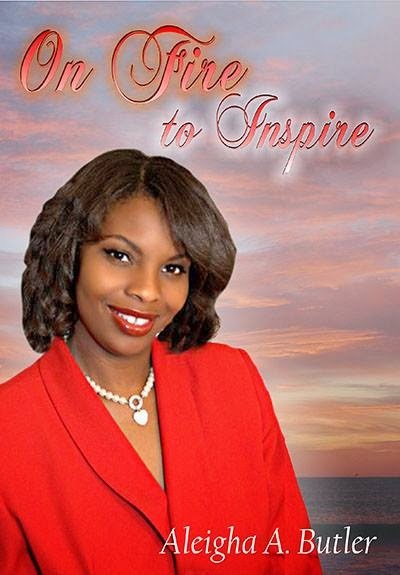 On Fire to Inspire is a powerful book that will encourage, enlighten, and empower you. I pray that this book not only inspires you, but it creates a passion to pursue your pursue. All of the pieces were inspired by God. Many times he'd give these powerful nuggets in the midnight hour. He sent this tool to light up a world filled with darkness. On Fire To Inspire will bring light to your spirit and your soul. You are destined for greatness! Walk into your victory! 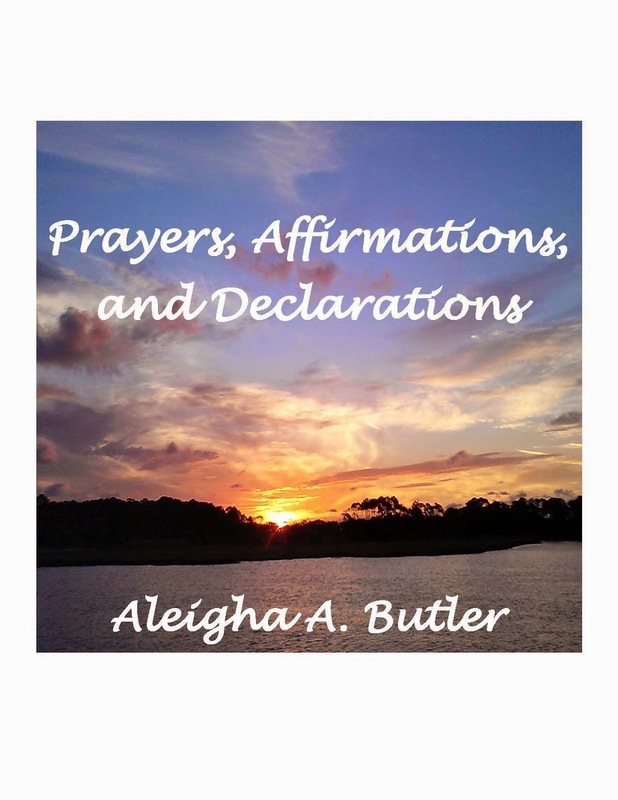 Prayers, Affirmations, and Declarations is a book of prayers. These prayers are to encourage and strengthen people and their spirit. There are prayers for women, children, men, purpose, and many more. You will be encouraged, enlightened, and uplifted after reading this book of prayers. Visit her on Facebook and like her page here. is a spin off of her Book. and to meet the host! If you are someone in need of a feature for your book along with on-air radio media exposure, social media, or a magazine spread, please let us know. We have media pkgs. available. If you are someone in need of book publishing, we have a great team of individuals that will help you with the entire project. We've been providing services since 2009. Visit My Website: Publishing <<<Click on the tab that says more. This is your year to tell your story! Take a look at our build-a-book program! If you think you can't write-a-book <<<you are wrong! On Fire To Inspire is now hosted on its own network, The On Fire Inspire Network (same night, same time: Tuesdays at 8pm EST/7pm CST/5pm PST). 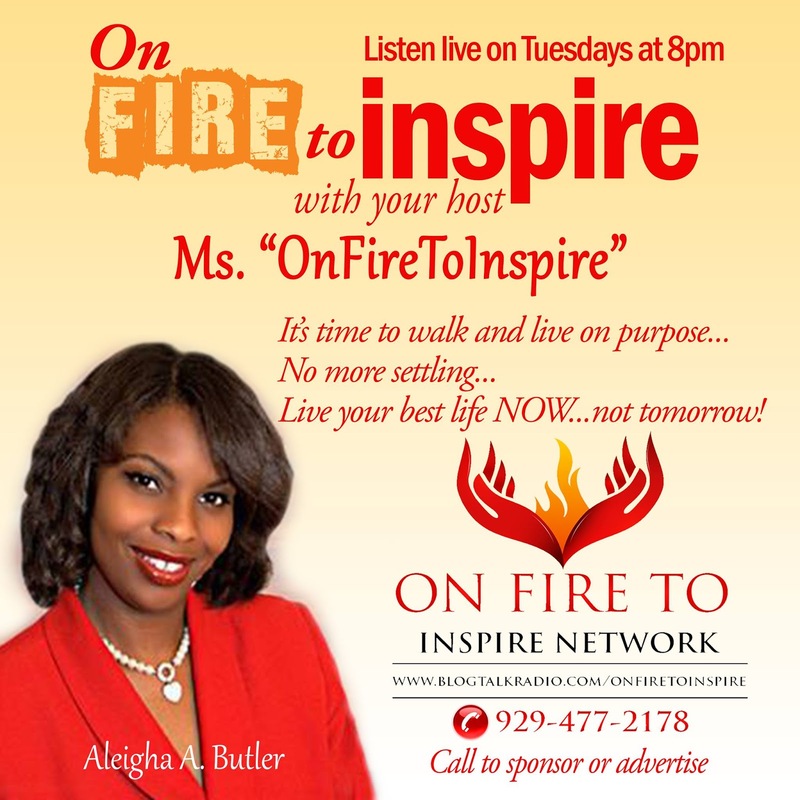 You can listen via phone by dialing 929-477-2178 or visit www.blogtalkradio.com/onfiretoinspire. All recordings can be heard via the link.